Air pumps possess advanced air-compressing system, damping system and multilevel muffler which are extremely low in noise. They have special artificial rubber feet to keep a steady air output, to prevent skidding on the surface, and pressure, acquiring best effect with lowest power consumption. One or more air stones can be connected to the pump outlet with a pipe & air divider. It is suitable to be used for air supply for aquarium air curtains and air stones, among others. Jeneca air pumps have advanced air-compressing system, damping system and multilevel muffler which are extremely low in noise. This Jeneca air pump has special artificial rubber feet to keep a steady air output, to prevent skidding on the surface, and pressure, acquiring best effect with lowest power consumption. One or more air stones can be connected to the pump outlet with a pipe & air divider. It is suitable to be used for air supply for aquarium air curtains and air stones, among others. If you own an aquarium, you’ll know that an aquarium air pump is a highly recommended accessory. An air pump is not essential, but they can be as important and necessary as any other accessories in your aquarium. With good bubble dispersion, your tank is also assured of adequate air supply. It is excellent for decoration and air supply in all kinds of aquariums and tanks. 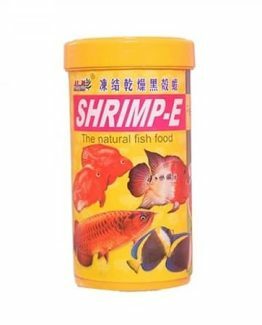 It is ideal for fresh / tropical and salt water aquariums as well as reptile habitats. The air tubes come in various lengths depending on your fish tank’s specification. First, connect the rubber hose to the check valve outlet with a 0.35mm air tube, then connect it to the air pump with 0.35mm air tube and dip it into the water. Over time, after being used for a long time, the pores on the Stone might be clogged, reducing bubble intensity. At this point, immerse it in hot water water for about 8 minutes, then use a brush or cloth to rub the surface slightly. Due to the difference between different monitors, and products in stock the picture may not reflect the actual color of the item. Thank you!